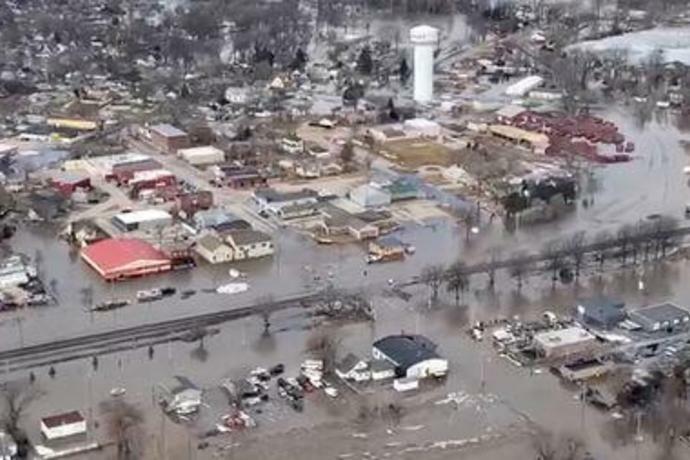 (Reuters) - Rains that melted a historic snowpack swamped U.S. Central Plains states with record floods on Sunday, breeching river levees and causing two deaths. 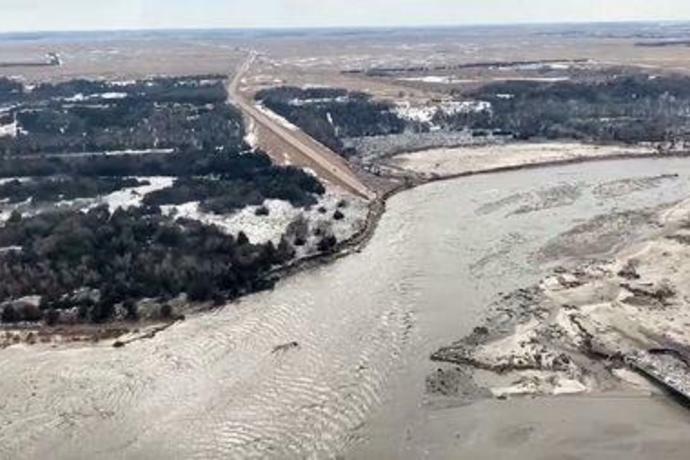 With water levels expected to rise through the week, evacuations were underway in communities along portions of the Missouri River on the Nebraska and Iowa border, as well as in Nebraska, on the Elkhorn River and Platte River. 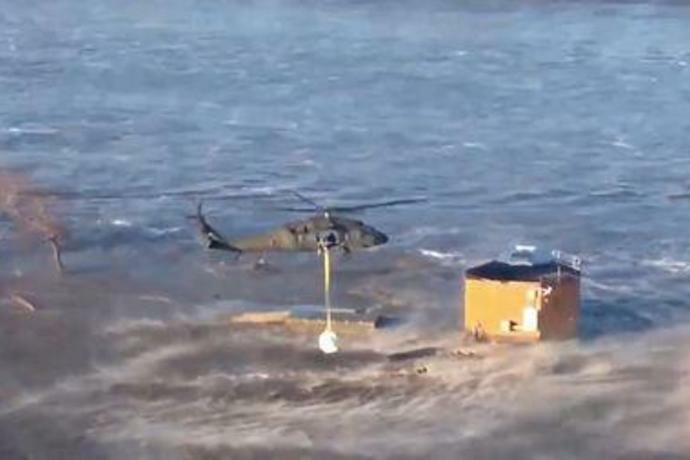 "The big ones are at record stages right now," said meteorologist Marc Chenard with the National Weather Service Weather Prediction Center. 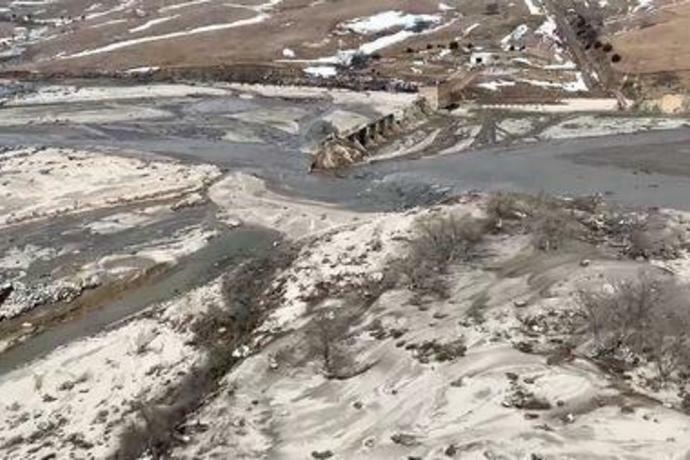 "There have been some levy breaks so there are towns that are flooded." 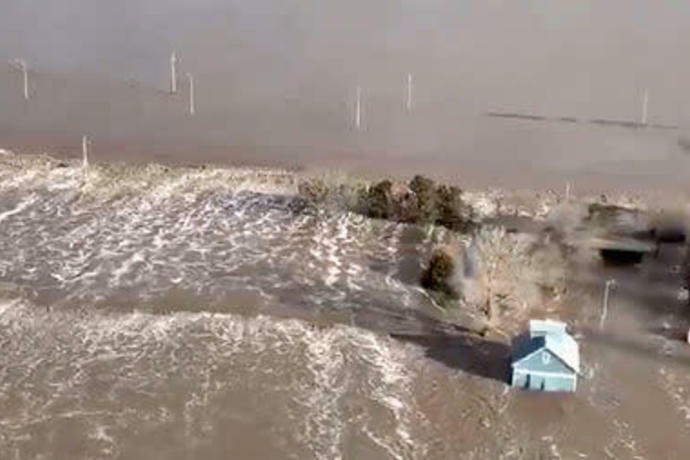 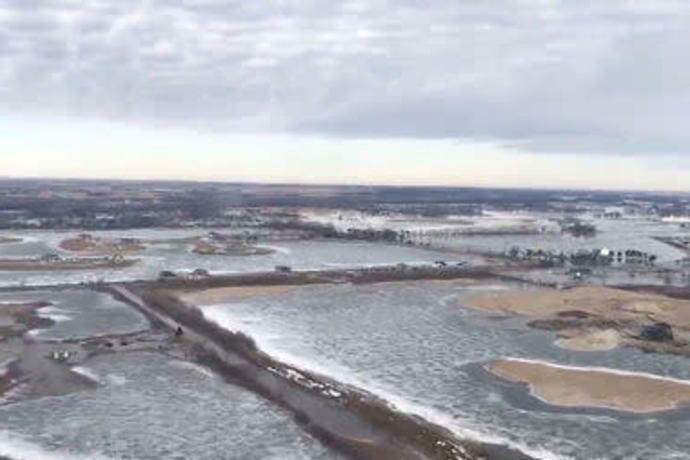 The deadly flooding was the aftermath of a late-winter "bomb cyclone" storm that drenched the nation's midsection and kicked into high gear snowmelt after unprecedented winter snowfall. 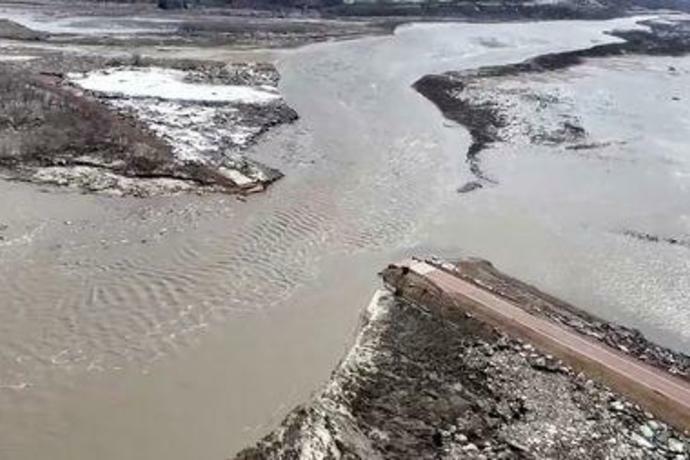 The weather was blamed for two deaths, including one person who died at home after failing to evacuate, and another swept away while trying to tow a trapped car with his tractor. 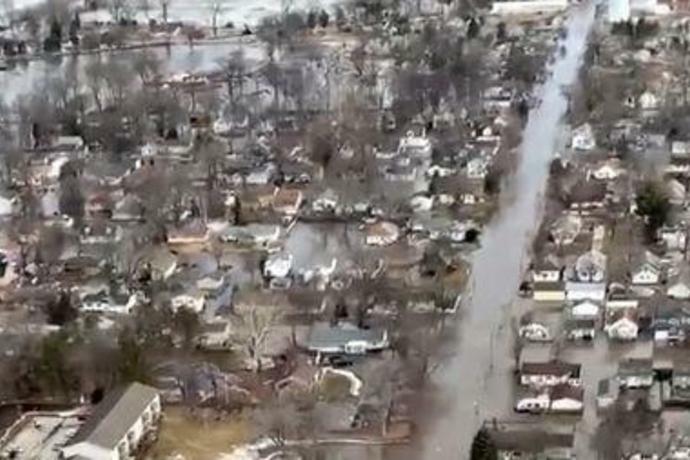 Despite relatively dry weather ahead, flooding was expected to persist through the week in Nebraska, South Dakota, Iowa, Minnesota, Wisconsin and Illinois. 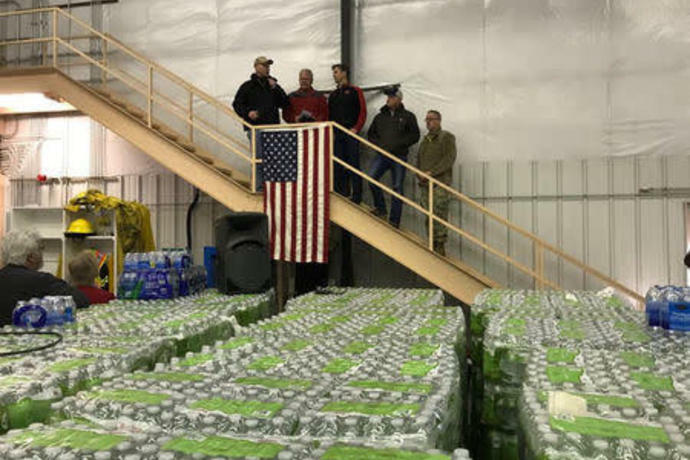 "We're looking at widespread flooding that continues until at least early next week in the Plains and Midwest region," Chenard said.